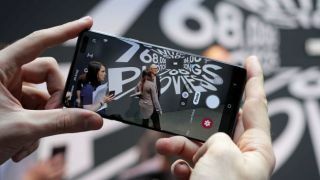 We've already heard that the Samsung Galaxy S10 5G release date could be as early as April 5, and now Samsung has confirmed the date along with the phone's price tag. According to Sam Mobile, Samsung is set to offer the Galaxy S10 5G in South Korea first, with the price starting at 1.39 million South Korean won (roughly $1,220, £930, AU$1,720) for a 256GB phone and 1.55 million South Korean won (about $1,370, £1,040, AU$1,920) for 512GB storage. In comparison, the Samsung Galaxy S10 Plus costs $1,249 / £1,099 / AU$1,849 for a 512GB handset, so if the prices are accurate both phones will cost roughly the same price, but prices often vary quite a bit between regions, so we're still waiting on an exact price for the device. The phones will come in several colors: 'Majestic Black', 'Crown Silver' and 'Royal Gold', although the 512GB phone won't be available in gold. We don't know a release date for other regions yet, but Verizon is launching a US 5G network from April 11 and EE in the UK has plans for 5G later in 2019, so it'll come to other countries at some point too. We've already gotten hands-on with the Samsung Galaxy S10 5G for a first impressions review, but when it releases worldwide we'll be able to spend more time with the phone to write a full review, so stay tuned to TechRadar for all the latest news and reviews.